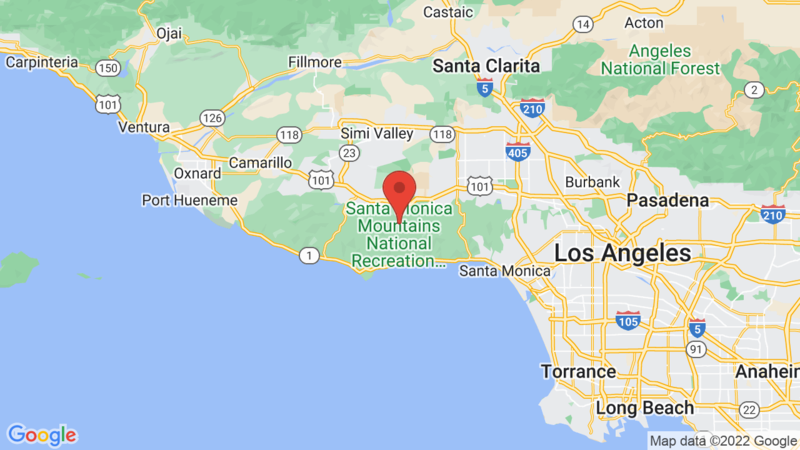 Malibu Creek State Park has been closed until further notice due to the Woolsey Fire. The fire burned through the campgrounds and burned several structures. If you have a reservation at any of these campgrounds, please contact ReserveCalifornia at 800-444-7275. Malibu Creek State Park Campground has 63 sites and is located in a beautiful canyon about 25 miles north of downtown Los Angeles. Campsites can accommodate tents, trailers and RVs (up to 30 feet). Many of the campsites have shade and each also has a table, fire ring and grate. Campground amenities include drinking water, flush toilets, hot showers, a laundry and an RV waste station. You can also fish in the creek and hike the trails throughout the park. Malibu Creek State Park is located just 25 miles from downtown Los Angeles. The beautiful park has over 4,000 acres, featuring hiking, fishing, bird watching, wildlife viewing and horseback riding opportunities. There are 15 miles of streamside trail through oak and sycamore woodlands and chaparral-covered slopes. Malibu Creek is the principal water-course of the Santa Monica Mountains – from Boney Mountain to Malibu Lagoon. The park was the center of Chumash Native American life for centuries and was once used to film numerous movies and TV shows, such as Planet of the Apes and M*A*S*H.
You may also be interested in Leo Carrillo State Park or Sycamore Canyon campground in Pt. Mugu State Park. Visted Malibu Creek State Park Campground lately? We'd love to hear about your adventure. Did you find us useful? Did we forget something? 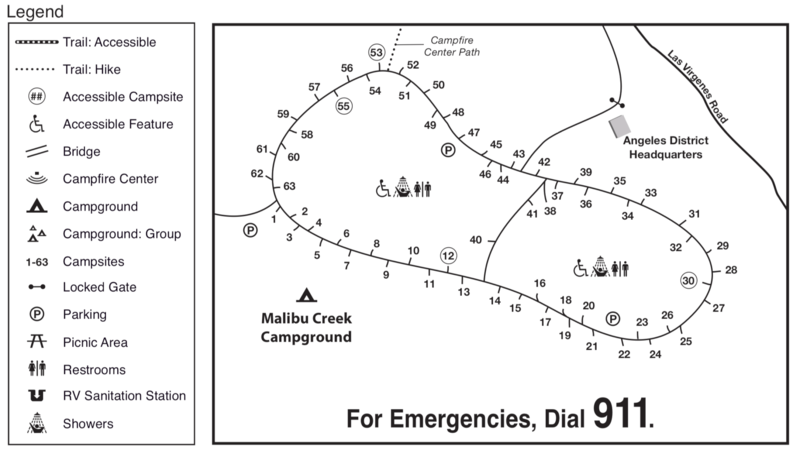 Anything our community should know before heading out to Malibu Creek State Park? Hello. I thought I booked site 57 for tonight and tomorrow. I evidently did not hit submit and I am on my way to you. I can’t get through to anyone to try to book this. Do you have sites available? Please call me at your earlier convenience. Thank you. CampsitePhotos.com is not associated with the campgrounds we have listed on our site. We provide the photos, camping info and links to check availability/make a reservation. ReserveCalifornia.com handles CA State Park reservations. I did a quick check and space is available tonight and tomorrow night at Malibu Creek State Park. You can also visit ReserveCalifornia.com to check/reserve or call them at 800 444-7275.